hristopher was born in 1968 to a musical family. Although he has had some instrumental training, his first love has always been voice. As a young boy, he sang in the Choir of Men and Boys at Saint Paul's Cathedral (Episcopal) in Buffalo, New York. He went on to sing counter tenor and study organ before going to Oberlin College in 1986. At Oberlin he pursued studies in French and history while keeping his hand in music as a college organ student and organist for a local church. After graduating from Oberlin in 1990, he moved to North Carolina, where he married his college sweetheart. He served in various Catholic and Protestant churches as organist and/or choir director. From 1994 to1995, while pursuing graduate studies in French history, he served as Organist/Choir Director at Saint Michael's Parish near Raleigh, North Carolina. While there, he was received into the Catholic Church and started a children's choir. From 1998 to 2003 he taught full-time in a private school and was Organist/Choir Director at Saint Philip the Apostle Parish in Statesville, North Carolina. There he introduced the practice of singing psalms at Mass using Gregorian psalm tones for the verses and newly-composed melodies for the responses. In 2003 he and his growing family relocated to Louisville, Kentucky, where he teaches seventh and eighth grade at Holy Angels Academy, a robustly Catholic school. In 2005, for the dedication of a new school chapel, he wrote and directed a setting of Non nobis Domine. 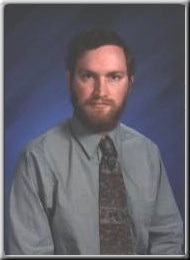 His current teaching post (as of September 2007) is at Saint Stephen Academy in Sacramento CA.